Trash is collected Monday – Friday of each week depending on your address. Recycling will remain on a once a month collection schedule. Collection will be during the second full work week of each month. Your collection day is the same as your regular garbage day during recycle week. You may also recycle items in the back of the Municipal Building, Mon.—Fri.,7:00-3:30pm. Please remember to CLEAN and SEPARATE into the proper bins. First Quarter: Bill in January for payment on or before last business day of March. Please note: This cycle is the only quarter that the Paid In Full Discount is allowed. Second Quarter: Bill in May and due on or before last business day of June. Third Quarter: Bill in August and due on or before last business day of September. Fourth Quarter: Bill in November and due on or before last business day of December. Dumpsters will be available on a QUARTERLY basis (Feb, May, Aug. & Nov) at the Township Municipal Building for RESIDENTS ONLY. You MUST receive a receipt sticker for your item from the Administration Ofﬁce, Mon.—Fri.,8:30-3:30pm before equipment can be dropped off behind the building in the Public Works Department. Trash and recycling collection service is delayed one day for weeks containing one of the 6 observed holidays. 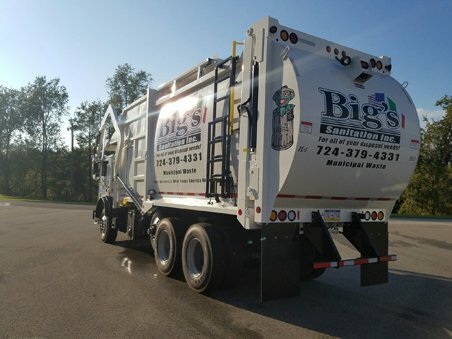 The holidays that affect the trash collection schedule include: New Year’s Day, Memorial Day, 4th of July, Labor Day, Thanksgiving Day and Christmas Day.